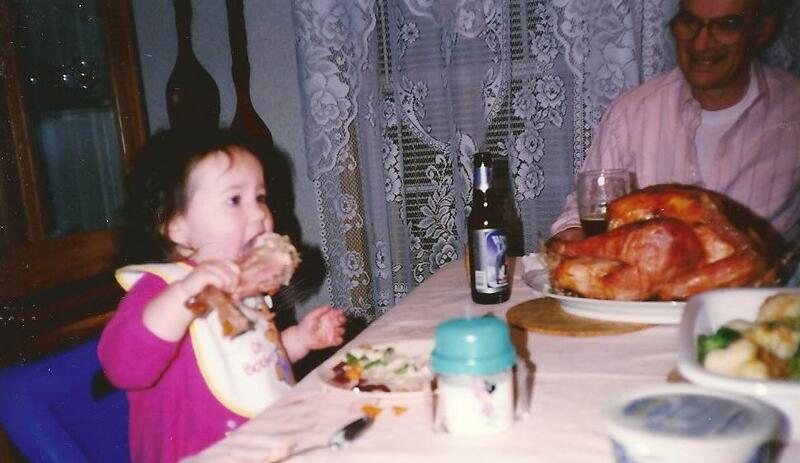 Catherine and Grandpa (my dad, Mike Salvatore), Thanksgiving 1997. Happy Thanksgiving! I can’t get anyone in our household to eat the drumsticks! Would Catherine like ours? Can’t guarantee it’ll be as good as that one….